Oded's practice focuses on capital markets. He specializes in counseling public companies on financings and ongoing corporate governance, disclosure and compliance matters. Oded has been involved in numerous public offerings and exchange listings in Wall Street of both private and TASE-listed Israeli companies. He has extensive experience representing New York investment banks in public offerings and private placements. 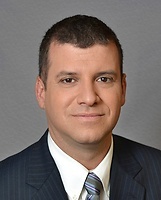 Oded is counsel to several Israeli governmental entities that operate in the U.S. He also guides and assists Israeli start-up companies in their various legal needs while establishing presence in the U.S. Oded has been involved in various public interest activities in Israel and New York. He served as a Captain in the Israeli Defense Forces.